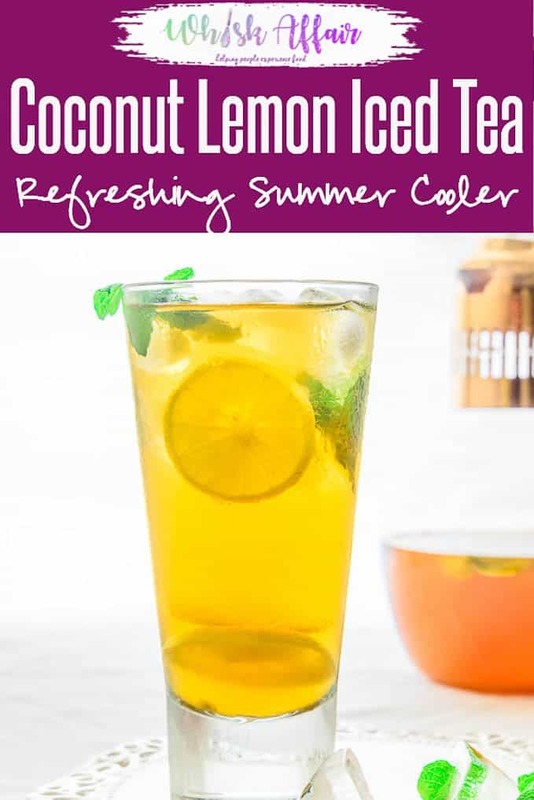 Coconut Lemon Iced Tea is a refreshing beverage perfect for the summers. Here is a simple recipe to make it at home using simple ingredients. The idea of creating Coconut Lemon Iced Tea hit me out of the blue! 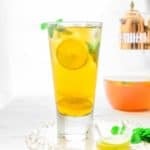 I enjoy making different types of tea using unusual ingredients such as Mango Mint Iced Tea, Passion Fruit Iced Tea and Orange and Mint Iced Tea. This time, I thought why not try making a fusion out of coconut and lemon. I like the rustic flavor of coconut and the refreshing taste of lemon. I have used coconut water and lemon juice for making this exotic Iced Tea. 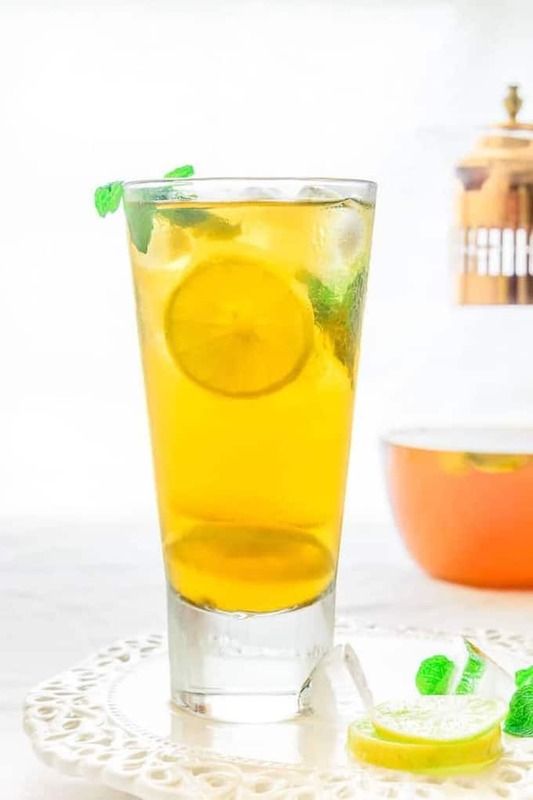 It is very easy to make, you may even involve your kid while making Coconut Lemon Iced Tea, he/she would love to help you and really feel proud of himself/herself! For garnishing, thin slices of lemon come in handy! 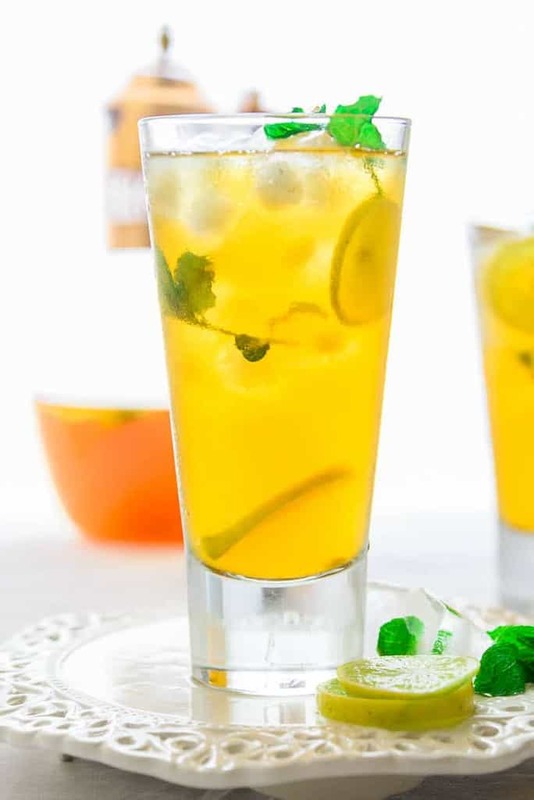 Moreover, a few mint leaves floating in the glass makes this drink looks irresistible and is a clever idea for easy and quick garnishing. You can make the tea beforehand and assemble the drink when ready to drink. Serve it chilled and see for yourself how your family loves this delicious drink this summer. Without wasting any time, note down the recipe of this Iced Tea, after all, you are making it tomorrow, aren’t you? To learn to make more coolers, follow me on Facebook, Twitter and Instagram soon! When it comes to a boil, add sugar and tea leaves and brew for a minute. Remove the pan from heat and strain the tea. Let the tea cool to room temperature. Add coconut water and lemon juice in the tea. Fill serving glasses with ice. Garnish with mint leaves and thin lemon slices.